While Donald Trump keeps talking about Megyn Kelly, the Fox News host is taking the opposite approach, declining to comment on his controversial comments about her "blood." But in a newly televised interview, she did defend her questions at Thursday's GOP debate, saying that asking him about sexist remarks "wasn't an attack." 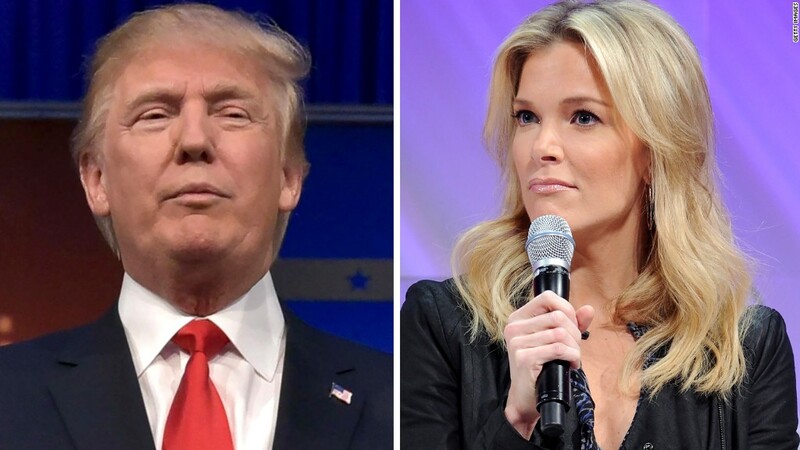 Kelly asked Trump at the debate about his past "disparaging comments about women's looks." "How will you answer the charge from Hillary Clinton, who was likely to be the Democratic nominee, that you are part of the war on women?" she asked. Trump lashed out at Kelly after that -- in interviews and on Twitter (TWTR) -- calling her "very hostile and unprofessional." Kelly defended her probing questions to Fox media critic Howard Kurtz in an interview taped Friday and aired Sunday. She said the question was fair. "I'm sure nerves were high as they were for all of the candidates. He felt attacked. It wasn't an attack," Kelly said. "It's okay with me that there's some consternation. He'll get over that and we'll be fine." She also remarked that she can deal with the flak about her handling of Trump: "It's okay. I'm a big girl. I can take it." After that interview was taped on Friday, Trump told CNN's Don Lemon that Kelly's questions were "off-base" and "ridiculous." "You could see there was blood coming out of her eyes. Blood coming out of her wherever," he said. That elicited fierce backlash, particularly from Trump's rivals for the Republican presidential bid. It also got him disinvited from a conservative gathering in Atlanta on Saturday. A Fox spokeswoman said Kelly and her boss, Fox News chairman Roger Ailes, have no comment on Trump's "blood" remarks. The network never mentioned the controversy on Saturday, even though it was national news elsewhere. Kurtz brought it up once on his Sunday morning program. Privately, Kelly and Fox executives are disgusted by Trump's assault. But by staying silent they are seeking to take the high road, rather than fuel Trump's fire. Kelly does not want to be seen as a victim; rather, she wants to stay above the fray and be seen as an independently minded journalist. All that said, the backlash against Kelly has been considerable. There has been so much invective directed at her on the Internet that it's created security concerns for Fox. As for Trump, he says he doesn't owe Kelly an apology. On Sunday morning he told CNN's Jake Tapper that his comments were not intended to imply Kelly was menstruating. "Do you think I make a stupid statement like that?" he said, declaring that "only a sick person would even think about it." He continued to complain about Kelly's debate questioning, calling it "extremely unfair." But he also said "I have nothing against Megyn Kelly." On Sunday afternoon he resumed his critique of Kelly's employer, tweeting: "It amazes me that other networks seem to treat me so much better than Fox News. I brought them the biggest ratings in history, & I get zip!"